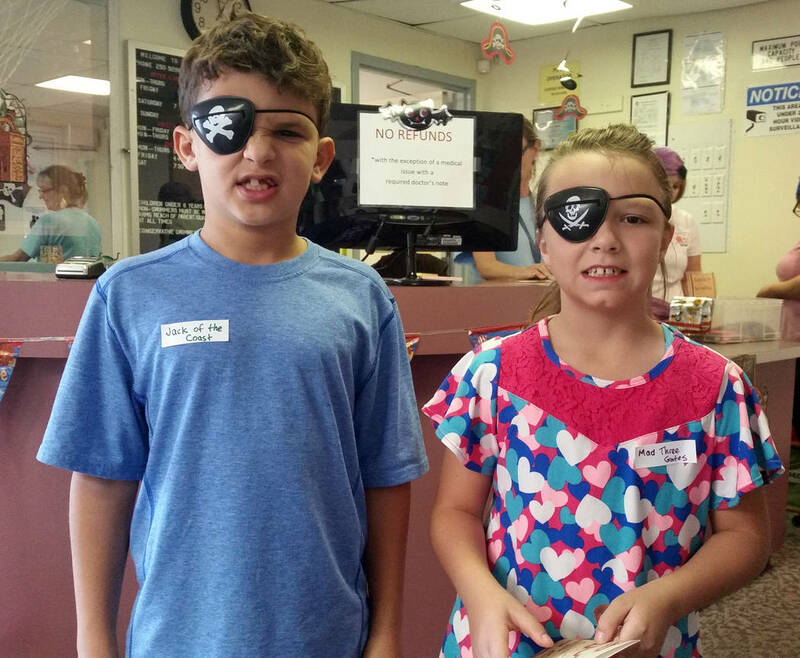 (Celia Shortt Goodyear/Boulder City Review) Joshua Edelstein and Shasta Willett practiced their pirate faces at the Pirate Party at Boulder City Pool on Saturday, Nov. 3. (Celia Shortt Goodyear/Boulder City Review) Boulder City's Aquatic Coordinator Cheree Brennan shows off her sword-wielding skills Saturday, Nov. 3, at the pool's pirate party. 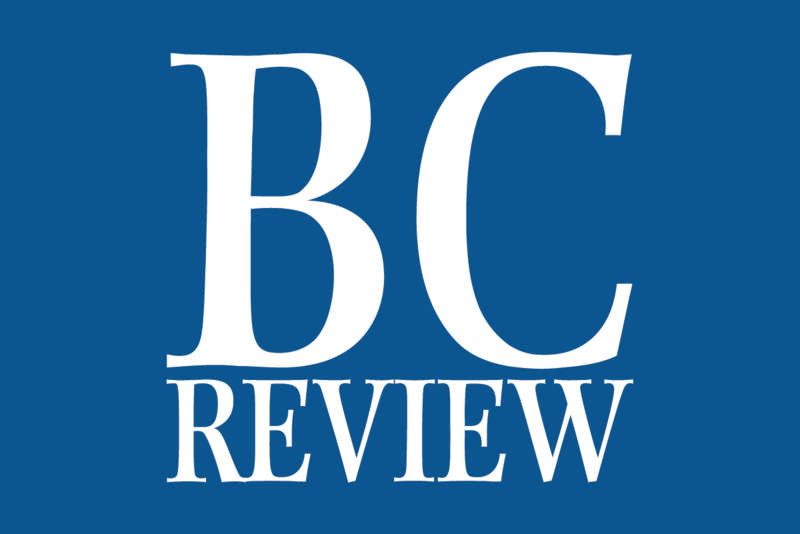 (Celia Shortt Goodyear/Boulder City Review) The Cook family, from left, Hailey, Lara, Harmony and Parker, in front, came to the pirate party at the Boulder City pool Saturday, Nov. 3, in their best pirate attire. 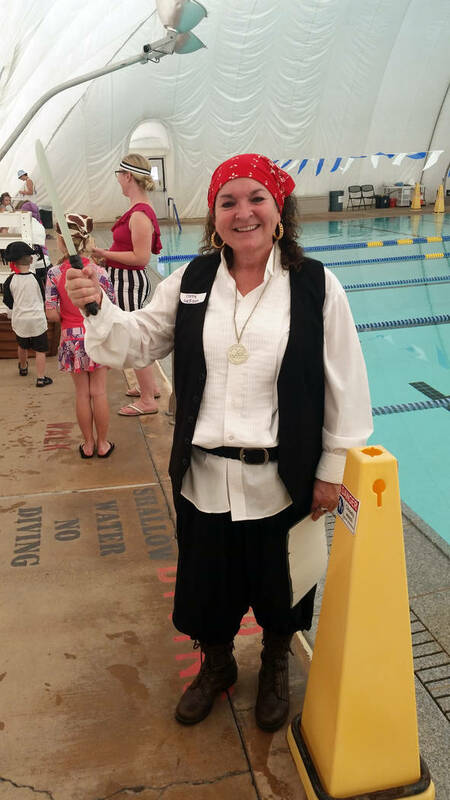 Boulder City Aquatic Coordinator Cheree Brennan shows off her sword-wielding skills Saturday, Nov. 3, at the pool’s pirate party. 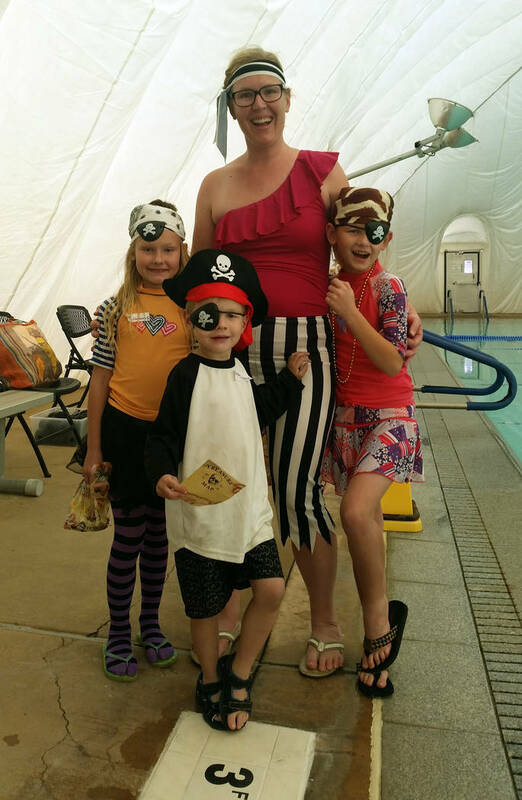 The Cook family, from left, Hailey, Lara, Harmony and Parker, in front, came to the pirate party at the Boulder City Pool on Saturday, Nov. 3, in their best pirate attire.